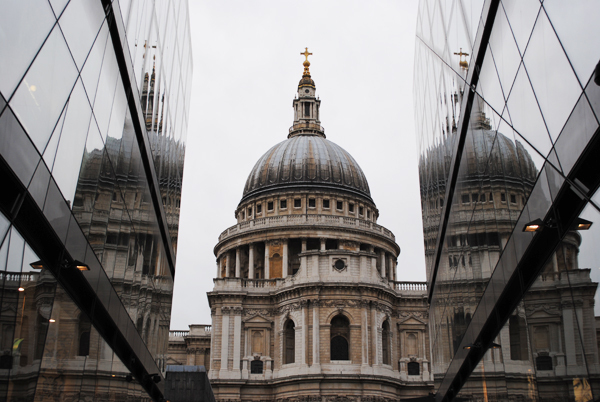 London’s newest shopping mall (and the first to open in the City for 130 years), One New Change, has opened up some interesting new views of the city, in particular of St Paul’s Cathedral which stands opposite. The views including those seen from the 6th floor public rooftop terrace which was opened last week. Located in Cheapside (‘cheap’ meaning market), the more than £500 million development was designed by Pritzker Prize winning French architect Jean Nouvel. For more information, see ﻿www.onenewchange.com﻿.